Frost Valley YMCA was recently awarded a grant to support their Farm Camp, a program that teaches children how to care for our earth and its inhabitants. Frost Valley YMCA Farm Leaders foster agricultural care with Pollinator Patch project. Frost Valley YMCA Farm Camp will plant a Pollinator Patch and grow a program this summer in response to a generous $500 grant from Farm Credit Northeast AgEnhancement Program. The Pollinator Patch, the 2017 Farm Leaders Project, will increase the number of bees and other pollinators in the 515 acre space. The camp teaches children how to care for animals and cultivate and harvest vegetables. Farm Leader’s also instruct their campers on how important it is to live a healthy life while also caring for the environment. “This will be a beneficial addition to the garden space making it more inviting for bees, birds and butterflies. It will also be educational hands-on learning and a space that future Farm Leaders will own and help maintain,” said Nicki Macy, Farm Camp Director. 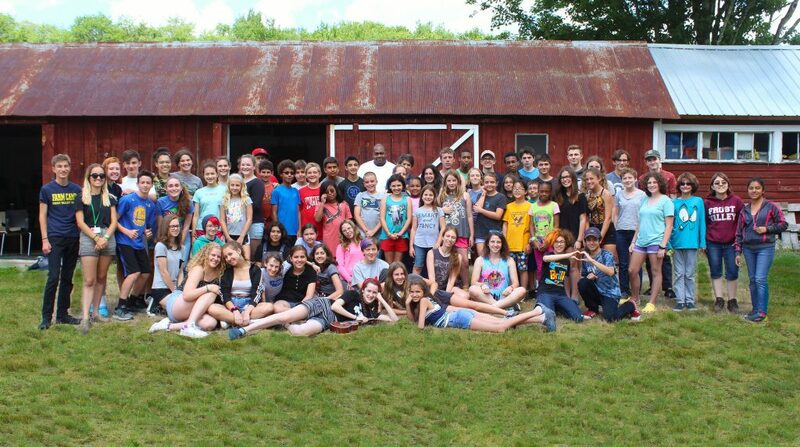 This summer, Frost Valley Farm Camp will include 10 Farm Leaders, 220 resident campers age seven to 15 and 65 day campers. The Pollinator Patch project will help teach campers about the importance of pollinators in agriculture. It will be implemented during the first camp session from July 2-14. The 16-year-old “teen leaders” at Frost Valley Farm Camp will prepare the soil and plant vegetation in the Pollinator Patch. “Our 2017 Farm Leader’s Pollination Patch project for next summer will now move forward as we are committed to improving the yield in every way at our Farm Camp. This project is important to the educational program for Farm campers and leaders,” said Jerry Huncoky, CEO of Frost Valley. Frost Valley YMCA overnight camps attract approximately 700 people from throughout the Northeast every year. Frost Valley YMCA aims to encourage youth development, healthy living and social responsibility through its recreational programs. It offers school programs, group retreats and conferences in addition to camp. Frost Valley also hosts environmental studies and research projects focused on preserving our environment. Farm Credit Northeast AgEnhancement encourages programs, projects and events that strengthen agriculture, commercial fishing and the forest products sector in the Northeast. The program is a combination of Farm Credit East, Yankee Farm Credit and CoBank. Contact the Director of Marketing and Communications Amanda Hinski at AHinksi@FrostValley.org for more information. Sign up for the Frost Valley YMCA programs at frostvalley.org.